On May 12, 2018, 80 children received the gifts of God’s grace in the Sacrament of Holy Communion. Congratulations to all the First Communion class members and their families. May they truly become like Jesus and be a blessing to others they meet along life’s journey. 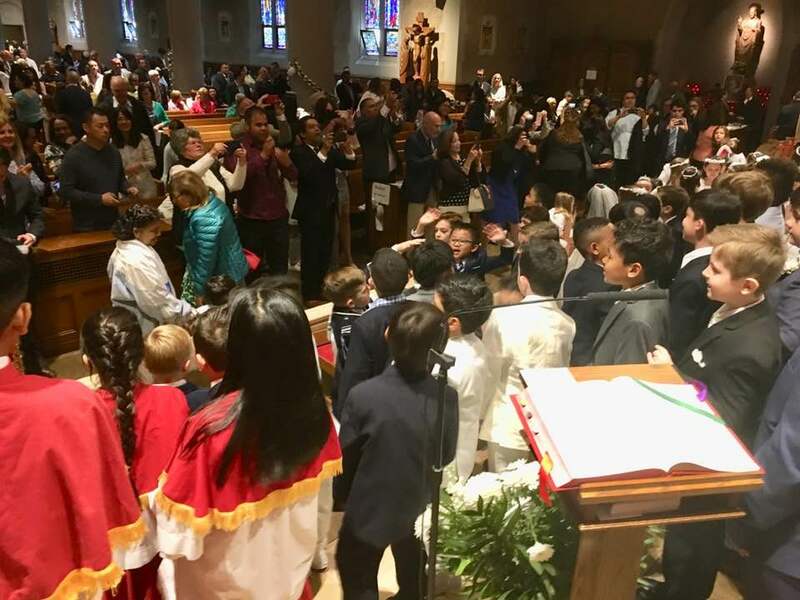 We extend thanks to Deacon Thomas Jorge and the Religious Education department at Our Lady Queen of Martyrs for preparing the children for this important day, and to the children’s choir and altar servers who participated. First Holy Communion 2018, photo by Roger Aguinaldo, whose daughter Cecelia was among the first communicants. Paparazzi parents in action, after the Communion Mass. Photo by Dennis Portelli.